Nazi propaganda against the disabled. On July 14, 1933, the Nazi government instituted the “Law for the Prevention of Progeny with Hereditary Diseases.” This law, one of the first steps taken by the Nazis toward their goal of creating an Aryan “master race,” called for the sterilization of all persons who suffered from diseases considered hereditary, such as mental illness, learning disabilities, physical deformity, epilepsy, blindness, deafness, and severe alcoholism. With the law’s passage the Third Reich also stepped up its propaganda against people with disabilities, regularly labeling them “life unworthy of life” or “useless eaters” and highlighting their burden upon society. Just a few years later, the persecution of people with disabilities escalated even further. In the autumn of 1939, Adolf Hitler secretly authorized a medically administered program of “mercy death” code-named “Operation T4,” in reference to the address of the program’s Berlin headquarters at Tiergartenstrasse 4. Between 1940 and 1941 approximately 70,000 Austrian and German disabled people were killed under the T4 program, most via large-scale killing operations using poison gas. (This methodology served as the precursor to the streamlined extermination methods of the “Final Solution.”) Although Hitler formally ordered a halt to the program in late August 1941, the killings secretly continued until the war’s end, resulting in the murder of an estimated 275,000 people with disabilities. The following bibliography was compiled to guide readers to selected materials on Nazi persecution of people with disabilities that are in the Library’s collection. It is not meant to be exhaustive. Annotations are provided to help the user determine the item’s focus, and call numbers for the Museum’s Library are given in parentheses following each citation. Those unable to visit might be able to find these works in a nearby public library or acquire them through interlibrary loan. Follow the “Find in a library near you” link in each citation and enter your zip code at the Open WorldCat search screen. The results of that search indicate all libraries in your area that own that particular title. Talk to your local librarian for assistance. Examines the role of doctors in the origins of the Holocaust. Shows how the Nazis’ mass killings grew out of the German medical establishment’s willing implementation of euthanasia and other practices with seemingly legitimate ends. Looks at the methods by which the Nazis worked to eliminate the “weak” and purify the Aryan race by killing or sterilizing mentally and physically disabled people. Shows excerpts from Nazi propaganda films intended to justify and gain public support for their actions by reason of mercy, cost, or natural selection. Outlines the racial theories and eugenics principles that set the stage for German doctors’ participation in the Nazis’ sterilization and euthanasia programs and later, in the victim selections and medical experiments at the death camps. Summarizes the Nazi efforts to systematically kill the institutionalized mentally and physically handicapped. Describes the program’s history, the selection process, and the collaboration of medical personnel. Includes victim statistics, photographs, personal stories, a map, historical film footage, and a list of related links. Discusses the euthanasia activities carried out at the health facilities in the German town of Hadamar. Includes photographs, maps and film footage. Presents information related to the war crimes trials held for the staff of the Hadamar facility in the fall of 1945. Includes archival footage. 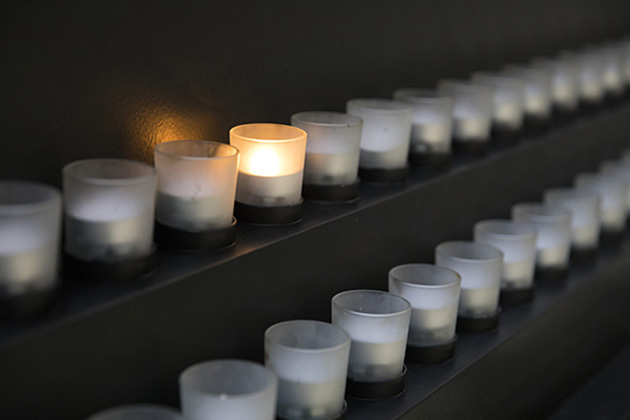 Presents full text transcripts and audio files of a USHMM panel presentation sponsored by the Center for Advanced Holocaust Studies on August 14, 2001. Briefly summarizes the Nazis’ treatment of the disabled during the 1930s and 1940s. Includes interviews (in both audio and text formats) with Robert Wagemann, who narrowly escaped being killed as a child for his disability. 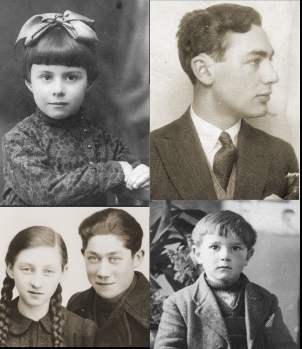 Also provides related photographs, historical film footage, and links to additional sources of information on the disabled during the Holocaust. Outlines the racial theories and eugenics principles that set the stage for German doctors’ participation in the Nazis’ sterilization and euthanasia programs and later, in the victim selections and medical experiments at the death camps. Part of the “Victims of the Nazi Era, 1933-1945” pamphlet series created by the Museum’s Division of Education. Available for view in HTML or for download in PDF format.